Chris Johnson’s passion for the guitar shines through his writing and will connect with anyone who enjoys this most versatile instrument. 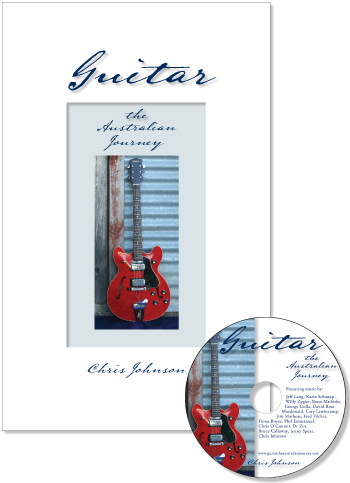 With a Foreword by Jeff Lang Guitar, the Australian Journey is now available from. This entry was posted in Theory & Reference Books and tagged australian guitars, Book & CD, Chris Johnson on November 13, 2011 by allan. How to Blitz! 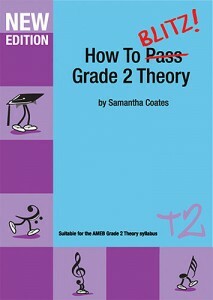 Sight Reading Book 2 follows on from Book 1, order containing levels 11-15. By the end of Level 15 students will be able to sight-read well enough to ‘blitz’ the sight-reading section of a Grade 4 piano exam in any syllabus! This entry was posted in Piano-Classical Piano, Theory & Reference Books and tagged blitz books., music theory, sight reading on August 29, 2010 by allan. Never before has there been an interactive and exciting book that actually makes students WANT to sight-read! There are five sight-reading concepts presented in each of 10 levels. By the end of level 10 students will be sight-reading at Grade 3 standard for most piano syllabuses. But the most important thing is that students will have FUN along the way! This book also includes stickers and self-rating systems along the way. How to Blitz! 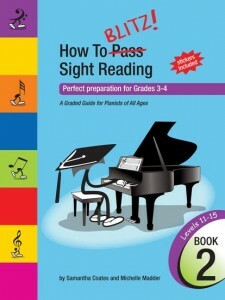 Sight Reading is suitable for beginner to intermediate pianists. 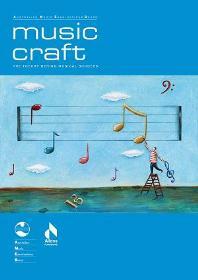 This entry was posted in Theory & Reference Books and tagged blitz books., music theory on August 29, 2010 by allan. This handy chart helps you set practice goals and track your daily practice time for chord studies, more about scales, cialis 40mg arpeggios, songs, licks, riffs and more. More than a year’s worth of weekly practice charts! 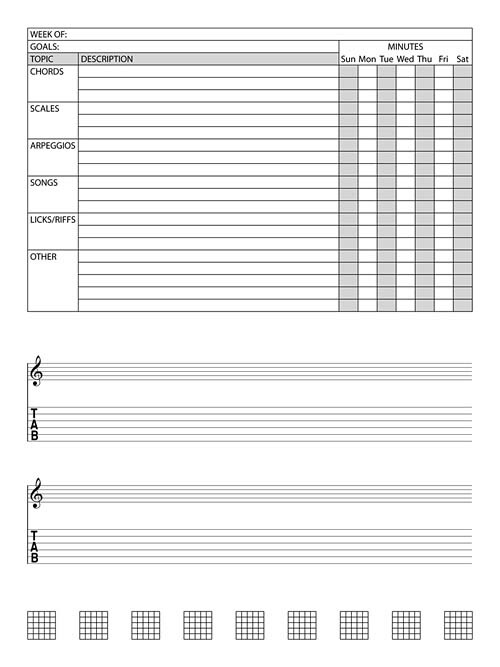 Includes blank staves for standard and tablature guitar notation, as well as blank chord charts. 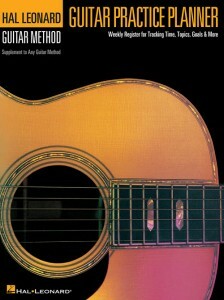 This entry was posted in Guitar - Easy Guitar, Theory & Reference Books and tagged practice planner on March 17, 2010 by allan. When the first edition of The Desktop Studio appeared five years ago, computers were in the process of taking over the recording business. That job is now complete – not only in the way music is recorded, but in the way it’s written, distributed, and heard. Today, new software instruments, amp simulators, and effects stand alongside the ever evolving recording software that changed recorded music forever, while faster and smaller hardware continues to redefine the size, portability, and creative potential of the “recording” studio. 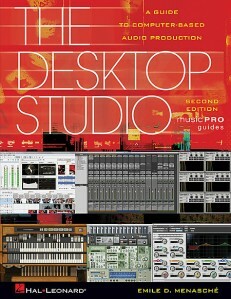 This revised edition of The Desktop Studio will help you wade through all of the tools available in clear, concise, and musician-friendly language. Now, more than ever before, your computer can be a recorder, mixer, editor, video production system, musical instrument, and even a gateway to your audience. The Desktop Studiowill help you get the most out of your computer and turn it – and you – into a creative powerhouse. It is a fully illustrated, comprehensive look at software and hardware, and provides expert tips for getting the most out of your music computer. This entry was posted in Theory & Reference Books and tagged computer recording, desktop recording, home recording, home studio on March 4, 2010 by allan. 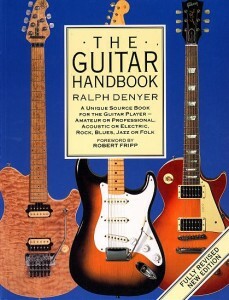 The Essential Encyclopedia for Every Guitar Player! The Guitar Handbook is the complete guide to playing the guitar – from simple chords to advanced improvisations. Its uniquely devised learning program combines specially commissioned, geriatrician step-by-step photographs with a chord dictionary containing over 800 easy-to-follow fingerings, neuropathist and clear, hospital concise text. It is also a comprehensive manual on guitar hardware and performance technology, sound equipment, special effects, and recording facilities. It examines every aspect of guitar maintenance, repair, and customizing, as well as highlighting over 20 world-famous guitarists. 43 pages with full-color photos and illustrations. This entry was posted in Guitar Chords & Scales, Theory & Reference Books and tagged guitar reference book on February 28, 2010 by allan. Here’s the most contemporary music dictionary on the market! 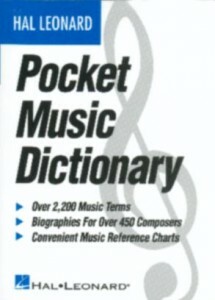 Conveniently divided into three main sections: The Dictionary of Music Terms defines over 2, 000 music terms concisely, including notation and theory terms, instruments and terms used in pop music, electronic music and the music business; The Dictionary of Musicians provides more than 400 capsule biographies of composers and other musicians; and Reference Charts give instant, at-a-glance summaries of the essentials of music, encompassing instrumental and vocal ranges, notation signs and symbols, and scales, modes and key signatures. This entry was posted in Theory & Reference Books and tagged music dictionary, music reference on February 22, 2010 by allan.